3Flower Pots for the Guest DT project. Truly, I was delighted by the turn out of such loving and concerned comments that came my way from all of you’ll for my ridiculously painful toothache episode. It really felt good to know, that I am not the only silly cow who frets and fumes over toothaches. This one being especially nasty since it was my wisdom tooth. And guess what !!! It gives me immense pleasure to tell y’all that I have joined Clear It out challenge as guest design team member. Being a part of a team is always a special feeling for me. And to have my card featured on their challenge website is even more thrilling !! I have designed this card with the theme in mind as per the challenge. I have used copics ie the first 4 that I bought yet !!! I liked using the sentiment of “You are my Sunshine” for the 3 flowers potted in these cute dotted pots. Hence I have used a spotted DP too. 3 metallic butterfly charms and a ribbon knotted in the side. I hope I have done justice to the challenge. There are two different digital stamps here.The digital stamps of the flower pot is from Melon Headz. 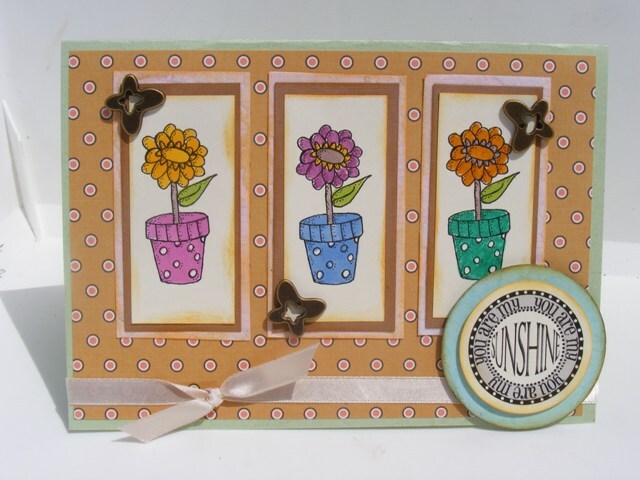 The flower pot is repeated thrice while the sentiment is digitally stamped and die cut and layered over another larger diecut. Yes, plenty of layers in this card ! One thing I found strangely unique about this card is, that it can be gifted from a daughter/son to their mom or vice versa, or even from a husband to his wife or can be exchanged between best friends too !! 4 Crafty Chicks – Spring inspired. Delightful Challenges – 1E, SIO – Flowers. Dutch Dare Card Challenge – 2E – Winged things. Stamping Vacation – M – No embossing of any kind. Fairy Fun Fridays – 2W, SIO – 2nd week – #52: For the girls. Floweret – M, SIO– Spring& green. 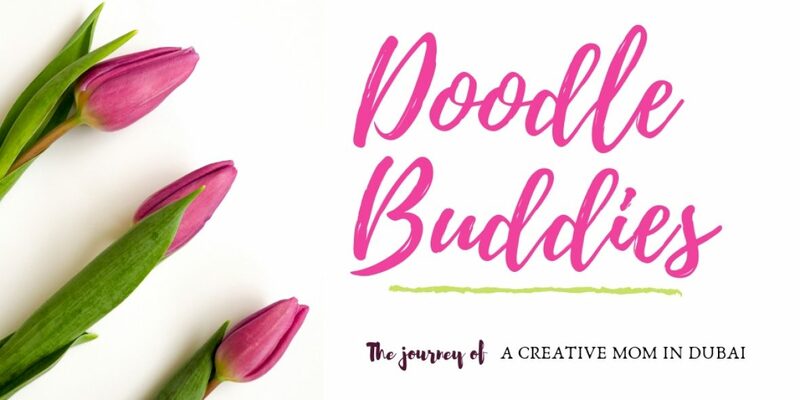 Mami Doodles – 2W, SIO, JFF – Spots and/or stripes. Sew Many Cards – SIO– Anything goes. Stamp Something – Anything goes. Yes, these are quite quite a few challenges, that my card will participate it. Lets hope I win some too. I’d like to leave you with a quote that I often turn to. This quote inspires me, reminds me and humbles me. “You are right where you Should be”. Life is a journey not a destination ~ we grow, learn, change and experience our entire life ~ it will only get as beautiful or difficult in proportion to the effort, compromises and sacrifises we put into it. Thank you very much my dear friends for taking the time to read my posts and leaving your comments. I look forward to each comment. 1). How did you like the new look of the blog ?? Unfortunetly, WordPress does not have a whole lot of quirky, funky or scrapbooking related themes .. this was the closest I got. Love the faux stitch border though and the chocolate brown base color. 2). My husband is going to be operated upon on monday for complications in his remaining kidney so this may be my last post to you’ll for a week, begining Monday, hopefully, if all goes well, then we’ll be back home, and I’ll be posting more of my remaining projects here. And this project is about : A girl child in my sons class in grade 3, has been the target of alot of indifference and verbal abuse. Sometimes, children can be cruel, they have not mastered the art of diplomacy like we adults have. They see what is real and can be candid and and sometimes very rude. Manu says they dont talk to her, avoid her in the playground and dislike her for no “ACTUAL” reason. Having witnessed the same for Buddy and sawaabi, I know how this child must feel. There have been instances when the teacher has also been annoyed with her becoz she is slow. I have been acquainted with her family. She is a pretty child, very shy, has a loud voice, speaks english with an asian accent. She yearns for acceptance and longs for someone to be a friend to her from what I hear of her from Manu. Manu has seen how actively I was involved when his brothers were physically abused in their classes so he keeps wondering and asking me, why I wont do anything for this child. Manu has been complaining about the treatment met out to her for nearly 6-7 months now. I wish I could explain that these things are not as simple as this little chap of mine, thinks. They are so complicated. I really wish to help this little girl and I even briefly bought this to the notice of the child’s mother on sports day. Perhaps not as firmly as I should. Ofcourse Manu, being how he is, has started paying more attention to her, and even baits his classmates to be nice to her, if he shares his lunch with them ! I stuck a note for her from me, telling her how “I” was so proud of her class achievements. We didnt want to address it from Manu, lest they misunderstand. She was beside herself with joy. Manu was so glad and she kept showing everyone what Eman’s Mom had sent for her. Only problem now, is that He is being cornered for another few more frames for other friends !! Kids, I tell you !!!!! The biggest negotiators on earth !! Tell me, how do you handle such a situation ? Talk to the parents ? Parents say she does not express herself easily ! Talk to teacher ? He’s going to wonder where ‘ I ‘ fit in the picture ?? Its difficult for me to sit back and do nothing. All children are different. Heck, I have three boys and each reacts in a different manner to a given situation. What do I do ? What would you suggest ? Here is the picture frame, which is actually a recycled cardboard desk calender frame from 2 years back. Didnt want to dump it coz it never ever got used even when it had the calender stuck to it. Looks as good as new. Here is that little gift that made the day of a little girl. Simon Says Stamp and Show… – anything but a card! Going Grey With Scrap-Creations – 2E – Pick 3: Ribbons, Flowers, Button. 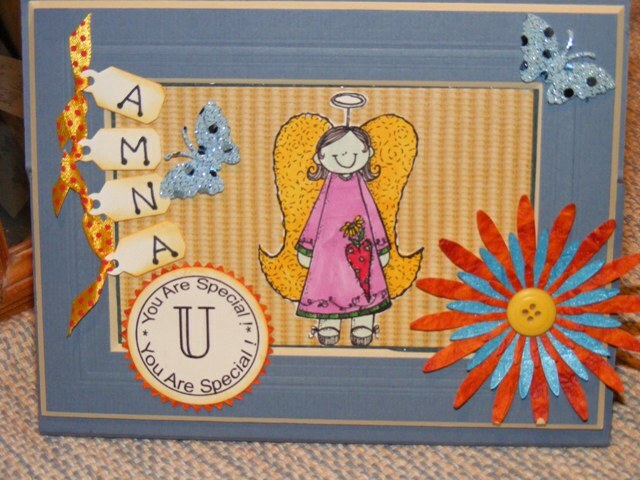 Aud Sentiments Challenge – 2W – A sentiment/card for a child. Crafty Purple Frog – 2W, SIO – 2nd W -Anything but Square. Do You Stack Up? – 3E, SIO – Follow the yellow brick road (use lots of yellow). 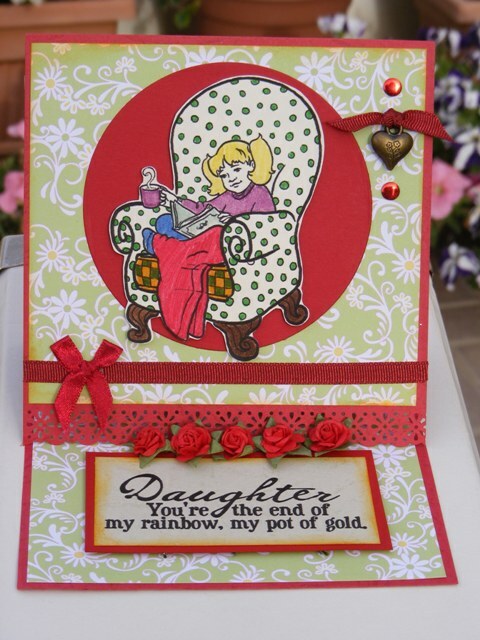 Dutch Dare Card Challenge – 2E – Spring has sprung. Paper Play – 2E – Critters galore. CASE Study Challenge – CASE the sample card*. 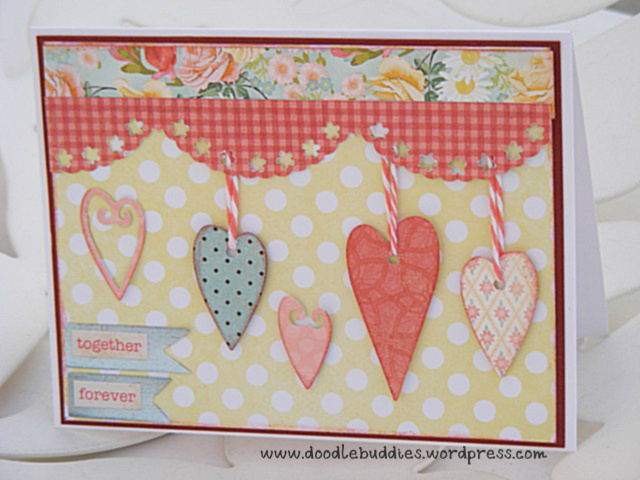 Card Makin’ Mamas – 2W, 2E – embellish it. Fussy and Fancy – 2W – Card for a child. Mami Doodles – 2W, SIO, JFF – Use a punch or die cut. Stamp Something – Something sassy or with circles or with sassy circles. Stampin With The Dragon – 2W – Spring Cleaning. Dear friends, I do hope you keep visiting me and perhaps leaving me a line or a note to tell me how you find my works. It really has such a healing effect. Kindly make a prayer for my darling husband who has endured so much thru out last year with his kidney cancer. He is my answered prayer ! He is such a blessing in all our lives. Please pray for him. With that note, I bid farewell. I think, every once in a while, we tend to reach a plateau in any creativity field. And ofcourse, most of the time, alittle challenge can get us motivated. This time, I was challenging myself with several folds and features. A little if-she-can-do-it-why-not-me inspiration is really healthy and infact essential at times. This past weekend, I wanted to get out of my lazy couch and play with some magic. I tried out different techniques and different folds in card making. Sometimes, we get too hung up on the challenges scenario, that most cards get created solely for serving only one purpose. I wanted to break that mold ~ and break I have done !!! I have tried to create something I just felt like with elements and colors and features that I felt I wanted to add. I really hope you guys like it. Some of the objectives, I had in my agenda were, to try out spotlighting, (was’nt sure, I could do it, but I am pleased with the first times results) Joy fold card, Tag card, back fold card, gate card and a couple more. Over the week, I’ll keep adding them here. Please do revisit. I am really pleased with all of them but I want to get back to experimenting with more designs and added features. Ok, so thats that. I am a complete emotional fool and so I hear; most creative people are !!! So the first time, I read this sentiment a couple of months back, I was really overwhelmed with a real maternal love for my boys. We really do tend to forget with the routine, school, soccer, house chores etc, how truly precious and valuable these little beings are. Really what matters most in life are not things but people. And at THAT, especially those we have bought into this world. There is one mother who will have moist eyes presenting this card to her prized child and one -young- very- pleased girl receiving this card. I am so fortunate that I am involved in a field which is all about art and expressing feelings and bringing people closer. What say ?? Here is My Pot of Gold Card. Okay, so now lets see if this card qualifies any challenges !